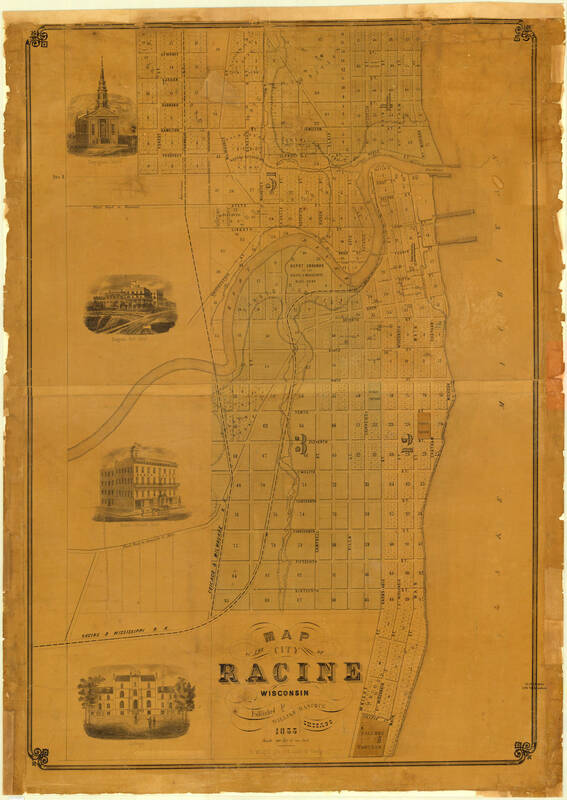 Racine County was forged out of the original Milwaukee County on December 7, 1836. From the end of the Civil War to the 1950s, it ranked second in Wisconsin only to its northern lakeshore neighbor in total population, industrial development, and ethno-cultural diversity. Several of its manufacturing establishments achieved national—and even international—status. 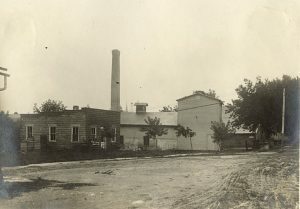 For several decades, Racine County savored its reputation as the “small electric motor capital of the world” and as a national leader in the manufacture of agricultural implements and construction machinery. From the 1950s to the 1990s, however, many of its signature companies were either absorbed by conglomerates or moved their headquarters to other states or countries. It became a veritable poster child for the “Rust Belt.” In the last several decades, it has struggled to reinvent itself through an unlikely combination of cutting-edge technology and tourism. The Village of Racine—established in 1834 where the Root River flows into the Lake—was first called “Port Gilbert,” after New York-born ship captain Gilbert Knapp. 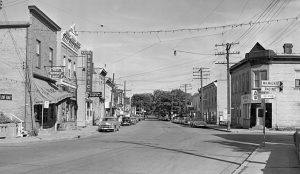 Early white residents called the place “Root River.” After the official establishment of the county in 1836, they renamed it “Racine,” the French translation of “Root.” They have continued to call the river “Root,” however, down to the present day. Racinians are especially proud of being called “the Belle City.” The village was chartered in 1841 and upgraded to city status in 1846, as Wisconsin became a state. Most of its residents were technically “squatters,” until Knapp and his associates successfully lobbied for a Preemption Act that legitimized their land claims. Over the past two centuries, Racinians have proven remarkably adaptive to rapid and massive technological, socioeconomic, and ethno-cultural change: the evolution of its economy from the hunting and fishing orientation of the Potawatomi and French fur traders; to the wheat-dominated agriculture, commercial, and light industrial regime of the early white settlers; to the iron and steel-based manufacturing behemoth of the 1870s through the 1950s; to its current efforts at reorientation in the wake of post-industrialization and globalism. In the process, Racine has moved from a locally-oriented economy to a regional, national, and international one, even though periodically marred by depressions and labor strife. By 1855, the area’s farmers shipped more than $1,000,000 worth of wheat, flour, wool, barley, butter, beef, and oats a year through the port in the City of Racine. The total value of its annual lake commerce peaked at $7,694,159 in 1873. In addition, the value of its agricultural products was steadily eclipsed by that of pumps, threshing machines, wagons, fanning mills, trunks, barrels of lime, and Cream City bricks, demonstrating its emergence as a light manufacturing center. By 1870, Racine had 231 manufacturing establishments, 1,882 wage earners, and a product value of $3,800,000. Most of these factories, however, were small flour, grist, and saw mills scattered throughout the county. Close behind were immigrants from the British Isles, Scandinavia, and other countries of northern and western Europe. Although Germans were also the numerically largest ethnic group in Racine, they paled in comparison to the number in Milwaukee, and were leavened by a variety of other immigrants: English, Scots, Welsh, Irish Protestants and Catholic, Danes, Norwegians, Swedes, British Canadians, and western Bohemians. By the end of the century, they were succeeded by Poles, Russians, Lithuanians, Serbians, Slovaks, Hungarians, Italians, Armenians, and Jews from the eastern European “Pale of Settlement.” Since the 1920s, Racine’s population has been significantly increased by African Americans from Mississippi, Arkansas, Alabama, and Tennessee, and by Mexicans from their home country and Texas. 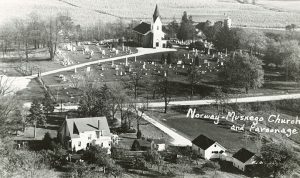 In addition to its reputation as the nation’s “most Danish city” and the “Czech Bethlehem,” Racine has also been home to such locales as English Settlement, Scotch Settlement, Norway, Little Armenia, Polonia, Bronzeville, and the Lakeside Barrio. ^ John D. Buenker, Invention City: The Sesquicentennial History of Racine, Wisconsin (Racine, WI: Racine Heritage Museum, 1998), 76. ^ Buenker, Invention City, 20-21. ^ Buenker, Invention City, 35-36. ^ Buenker, Invention City, 36. ^ Richard H. Keehn, “Industry and Business,” in Nicholas C. Burckel, ed., Racine: Growth and Change in a Wisconsin County (Racine, WI: Racine County Board of Supervisors, 1977), 285, 289, 294, 297, and 303-304. Burckel, Nicholas C., ed. Racine: Growth and Change in a Wisconsin County. Racine, WI: Racine County Board of Supervisors, 1977. Buenker, John. Invention City: The Sesquicentennial History of Racine, Wisconsin. Racine, WI: Racine Heritage Museum, 1998.